Greg started his CrossFit training in December 2001 at the original CrossFit Headquarters gym in Santa Cruz, California. As an Athlete at the first CrossFit gym, Greg was coached and mentored by CrossFit Founders “Coach” Greg and Lauren Glassman for over five years. 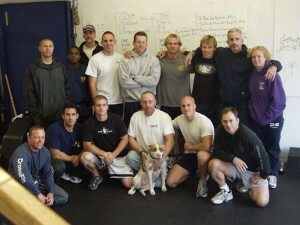 Greg assisted “Coach” Glassman on the training staff of the very first CrossFit Level 1 Seminar. With the launch of the CrossFit Headquarters (AKA CrossFit.com) website and CrossFit Journal, Greg was instrumental in providing the photograph and video content that has been viewed by thousands of people Worldwide. Much of the early video footage of Greg’s workouts and technique demonstrations, including the first CrossFit DVD called “Try This At Home” have been credited with inspiring the current generation of CrossFit Athletes to begin their CrossFit training. Greg has been referred to by his peers as an “Ambassador of CrossFit” and the “Original CrossFit Firebreather.” Greg has traveled around the United States and World teaching the movements, theory and practical application of CrossFit, Goal Setting and the combative system Krav Maga for over twelve years. Greg’s contributions in developing the CrossFit brand and lifestyle have been chronicled in the bestselling books Inside The Box and Learning To Breathe Fire. Greg has been described by his peers as the “Original CrossFit Firebreather”. In 2007, Greg was gifted ownership of the original CrossFit gym in Santa Cruz directly from “Coach” Glassman. Due to Greg’s work demands as an Agent with the Drug Enforcement Administration (DEA) and his relocation from Santa Cruz to the Southwest Border of Imperial Valley, in 2009 Greg transferred ownership of CrossFit Santa Cruz into the capable hands of current owners Hollis and Daniele Malloy. When Greg first arrived in the Imperial Valley, he worked out in a small garage gym. However, within a few months, brave co-workers and friends Greg met at the Navy Base swimming pool, Brazilian Jiu-Jitsu and boxing classes started to ask questions and inquire about learning CrossFit. Before long, CrossFit Amundson Imperial Valley was born. For Greg, this was their dream come true: The heart and soul of friendship, service and giving back to those who wanted to learn. It was CrossFit at it’s purest. Over the course of just three years, Greg grew the 400 square foot garage gym into a thriving 14,000 square foot premiere training facility. For great history on the birth of CrossFit Amundson in the Imperial Valley, we recommend reading Greg Amundson’s CrossFit Journal Article called, “How To Grow A SuccessFul Garage Gym.” In January 2012, Greg premanently relocated to Santa Cruz to work for CrossFit In., as the Law Enforcement Liaison and re-open CrossFit Amundson in his beloved Santa Cruz County. Today, Greg owns and operates CrossFit Amundson in Santa Cruz (Pleasure Point) with a hand-picked Team of Trainers. Greg continues to travel extensively, teaching the CrossFit Goal Setting Course, CrossFit Kettlebell Course and CrossFit Law Enforcement Seminars around the World. Greg is also the owner and lead instructor of Krav Maga Santa Cruz in Santa Cruz, CA and is the Founder of the apparel company Firebreather Athletics. CrossFit Amundson Santa Cruz is located less than one mile from the original CrossFit Headquarters facility, 800 meters from one of the most legendary surf breaks in the World, and next door to the best locally owned coffee shop in Santa Cruz. Our famous “Big Loop” takes Athletes on a breathtaking run across East Cliff Drive with view of Monterey Bay and Carmel. CrossFit Amundson Santa Cruz is a tribute to the very first CrossFit gym located on Research Park Drive. 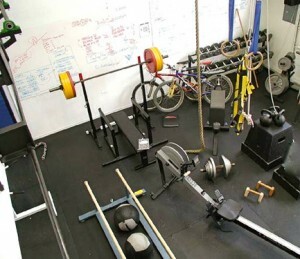 Original CrossFit equipment, layout, programming, signage, and flooring is on display in the gym. 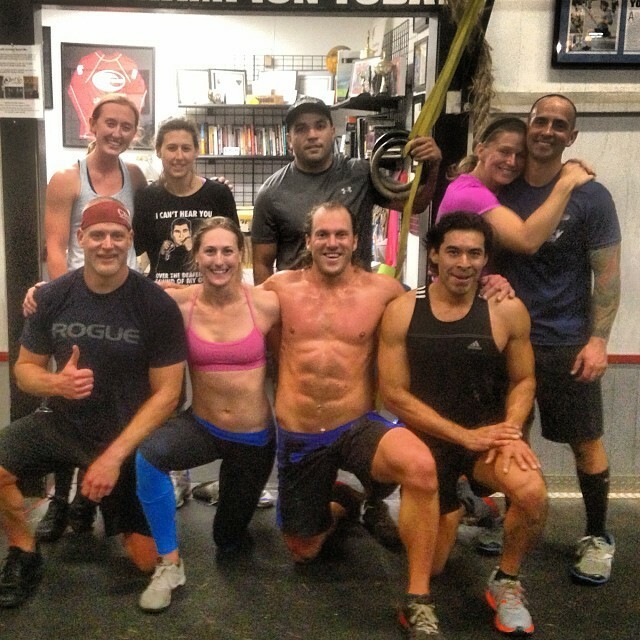 CrossFit Amundson is deeply rooted in the history, culture, community and methodology of the original CrossFit box. The early days of CrossFit were full of inspiration, incredible characters, and constantly increasing levels of athletic capacity. To check out a piece of history on what the early days of CrossFit were like, read the CrossFit Journal Article by Greg Amundson called, “CrossFit HQ, 2851 Research Park Drive“. 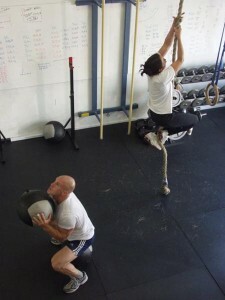 In August, 2012, CrossFit Amundson became the official home to Krav Maga Santa Cruz. Krav Maga is the self-defense and combatives system of the Israeli Defense Forces and hundreds of US State and Federal Law Enforcement Agencies. Krav Maga emphasizes easy-to-learn techniques that have been battle-tested in life threatening confrontations. Owned and operated by Greg Amundson, Krav Maga Santa Cruz is the only officially licensed Krav Maga school in Santa Cruz County. In July 2014, Greg Amundson opened the only Warrior Yoga school in Santa Cruz. In alliance with Mark Divine of SEALFIT and Unbeatable Mind, Warrior Yoga transforms the way you view your mind, body and spirit, and the world around you. Warrior Yoga is strongly grounded in the ancient science of yoga and other noble warrior traditions. As a modern integrated practice, Warrior Yoga spans traditional yoga, martial arts, functional training, and valuable lessons from Greg Amundson’s and Mark Divines lifestyle, military and law enforcement experience, and leadership philosophy. In December 2015, Greg coined the term “Satvanga” uniting the Sanskrit word “Satvana” which means “Warrior” with the word “Yoga” which means “To Join.” The result is a unique practice which “Unites” or “Yokes” the Warrior Spirit with the traditional Eight Limbs of Ashtanga Yoga as taught in Patanjali’s Yoga Sutras.